Hashtags are the bread and butter of most influencers. They help them reach and grow their online community! Hashtags are important for grouping topics together in the social media marketing world. Individuals use them to follow – and be part of – a conversation. Considered the “birthplace” of hashtags, Twitter allows you to easily follow conversations and be part of them. If you want to maximize your tweet efficiency, the general rule is to use 1 or 2 hashtags per tweet. Many studies have shown that as soon as 3 or more hashtags are used, engagement rates will drop. Also, you must ensure you use hashtags that are most relevant to the topic at hand. Keep in mind that irrelevant hashtags will allow your tweet to be seen by others, but not necessarily in a good light. The same goes when you use a trending hashtag. If you want to be part of that conversation, great! Otherwise, don’t use the hashtag just so people see your tweet! Nobody likes freeloaders. 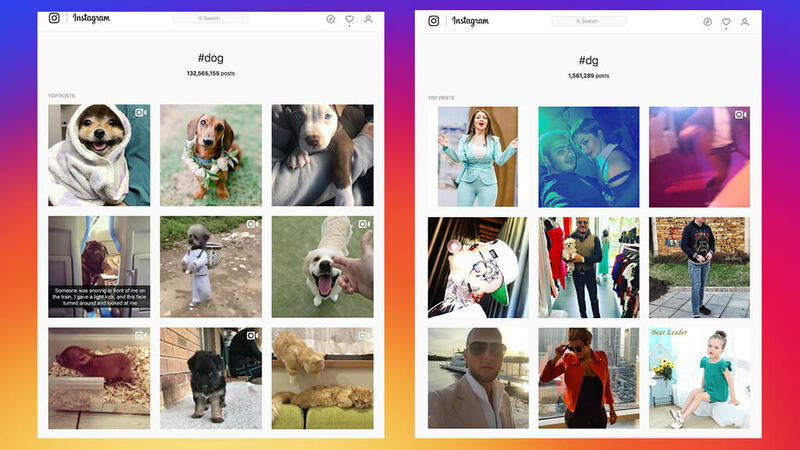 Instagram has users obsessing over hashtagging their posts. What’s great about Instagram is that you can put up to 30 hashtags per post – allowing you to reach a much greater audience. Once again, this can only hold true if your hashtags are relevant to the content you post. Now that Instagram has been set up to display feeds in a non-chronological order, hashtagging is all the more pertinent. Some experts say to only put 3-5 hashtags per post to assure that your caption does not look cluttered. But, many emphasize on making the most of your hashtags. You’ve got 30 you can play with, why not use them all? Plus, Instagram now cuts captions with a clickable “…more”. Here’s a tip: if you want to make sure that your hashtags are “hidden” and your post doesn’t look spammy, insert them in your comments. NOTE: there are hashtags that are completely (or partially) banned by Instagram. To learn more, click here. Before heading off, we’d just like to leave you with a few hashtag etiquette notes! #thisisntappealing and it will create confusion. Plus, what are the chances that many other people have used that hashtag? If you want to be part of a conversation, keep your hashtags precise. Aesthetics come into play here. It doesn’t look appealing to others and it may even annoy them. You look like you’re trying too hard. Again, you want your hashtag to showcase a thought or topic. Hashtagging words like #to & #and will not help with relevant reach and engagement. If you do use a hashtag with two or more words in it, make sure not to put spaces. Hashtags “break” as soon as there is a space. Basically, do not #Do this, but rather #DoThis. It may be straightforward, but making a typo in your hashtag will automatically redirect your post/tweet to a completely different conversation. For instance, #dog and #dg will bring you to completely different topics.